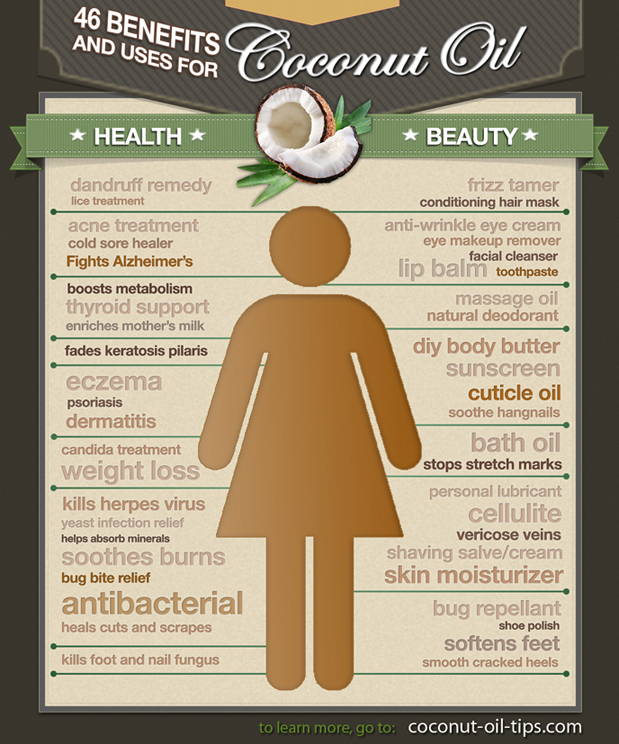 Coconut oil: a solid or liquid?! 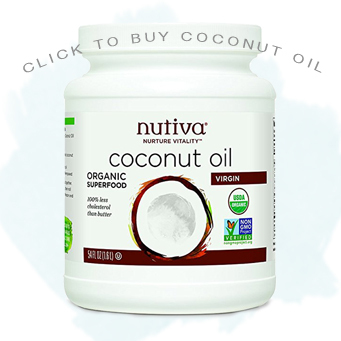 A lot of newcomers to coconut oil’s benefits get thrown off when their first jar gets solid. Often if coconut oil is ordered in the mail, it will arrive in liquid form from the heat during transport, then solidify once it cools down! Then the buyer can get suspicious: is coconut oil supposed to be solid? 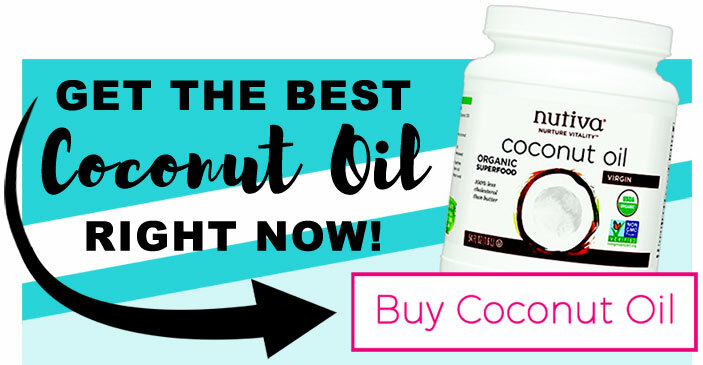 (I’ve even seen people leave negative reviews of coconut oil for becoming solid!) The answer is yes, it’s completely normal, and this is a very common question! Here’s some info about coconut oil’s melting point, and tips on how to melt coconut oil when it’s solid, and what else you can expect. If you bought the unrefined (aka “virgin”) kind of coconut oil, it will have a melting point of just 76 degrees Fahrenheit. This means it can be liquid or solid depending on the season, the climate where you live, and even the part of the house where you store it. What this also means is that its solid state is nothing to worry about when you need to apply it to the skin: a chunk of it will actually melt with your touch. This works just fine when using it as a body moisturizer. But when using coconut oil for recipes, or just as a personal preference, sometimes you need to melt coconut oil into a liquid form for easy pouring. So How Do You Melt Coconut Oil when It’s Solid? If you want your coconut oil to be liquid, fill a bowl or the sink with hot water (hot tap water is fine) and then just set your jar of coconut oil in the water until it melts. I actually place something heavy on top of my plastic jar of Nutiva to keep it from floating. I do this all the time for making smoothies, and there’s always enough coconut oil melted by the time I’ve got the other ingredients in the blender. Handy tip: Some people on the Coconut Oil Tips Facebook page have passed along this ingenious solution: they place their jar on a mug warmer when they need it melted! (Pictured left, Mr. Coffee MWBLK Mug Warmer ). I haven’t tried the mug warmer method yet myself, but now I’m thinking of getting one for myself. I would imagine the best way to do it would be to spoon the coconut oil into a mug you have for the purpose, placed on the warmer. Should I Refrigerate or Microwave Coconut Oil? Technically, you can refrigerate coconut oil if you want to, but there is really no reason to. Coconut oil has a very long shelf life (we’re talking at least two years). The fat is saturated enough, and antibacterial enough, that it just doesn’t go rancid easily. Refrigerating it causes more trouble than not, since it hardens the oil to the point that it’s difficult to use. 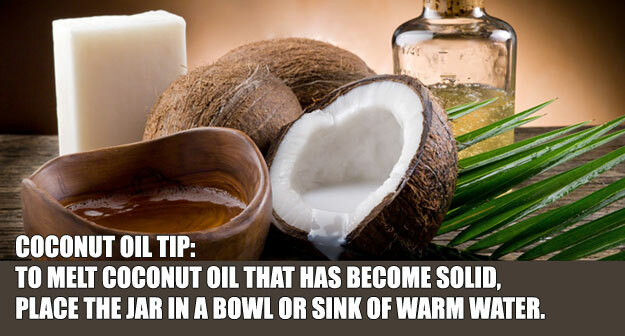 What about using the microwave to melt coconut oil? Well, technically it might work, but I would say no. I personally haven’t tried since I don’t use or own a microwave (it just kills nutrients in food, as far as I’m concerned). My suggestion is to stay away from the microwave to avoid degrading the healthy benefits of your coconut oil! The above methods of melting coconut oil are far more preferable.